One of you can win a great prize- an iPad mini, pre-loaded with the fun and family friendly Flare Kids app. If you haven’t read my review on the app, please do so here. It’s a fun app that lets kids watch movies and shows, without mom and dad needing to worry about them getting into trouble with it. Please feel free to enter the giveaway, using the RC form below. In order to enter, you will need to answer a question from the review, so make sure you read it before you enter. Ends Oct. 31, 2015. Good luck! i love the fact that it includes videos on the internet from well known TV channels and important topics like the solar system, dinosaurs, sharks, weather, cultural exploration, and (of course) puppies. I love the parental controls! Making sure my 6 year old is safe is important to me, she doesn’t need to be into things not appropriate for her. Parental controls which are easy to apply – a dream come true! I like the parental controls on the app. I like the timer feature of the app! I like that you can create custom profiles for each kid. And the parental timers are a great idea as well! I learned that the Flare Kids app allows parents to create custom profiles and they can set time limits for their kids which is a great way to keep track of how much they use the tablet when logged into the app. I would love a IPad loaded with kid apps. My son has Autism and I know these really help them. I would love this. I liked that the app has a timer and parental controls to keep your little ones from using the app more then you’d like them to especially at bedtime! i love that this app lets me control what my kids use on the ipad. i love that they will be safe using it and that they can easily navigate the app. I like the customizable desktop. The interface is easy to navigate especially for kids, but its also simple to navigate for adults too. I love all the advantages that this app offers, for example, the fun and educational aspects! I love that you can create profiles to control what the kids watch and has a timer. These are awesome features. I’m sure using the FlareKids app is a great relief to mama, not having to be worried about something inappropriate popping up. I really should tell my niece about this, she has a young sun that using an iPad all the time. Thanks for the review. I like that it has a timer, that seems useful for kids. I love the timer. It looks like your son was enjoying Henry Danger. I think my favorite feature is the timer. That would be really useful with my kids. I like the timer so you can set up how much time your kids can use it for. i really love the parental controls. peace of mind is great. I like that it’s a free app! I also like that it’s easy for kids to navigate! My daughter loves to watch videos, but youtube can get weird real fast. I love that it allows her to watch videos and I don’t have to worry. I like the feature that you can watch kid shows from well known stations. And that is many educational apps available. I like that you can set a time limit for the kids. i really like the parental control.. I love the parental controls. I think that is so important!! Thank you for the chance. I like the feature where you can customize the desktop. In your review you said that “Kids can watch their favorite shows and the parents don’t need to worry about monthly fees” – great feature right there! I like that kids can watch their favorite shows and parents do not have to pay monthly fees. I like that you can create custom profiles to control what kids are watching, which is very important and be able to set a time limit and I like that it is easy to navigate. The interface is easy to navigate especially for kids. It includes videos from the internet from well known channels. I like that the interface is easy to navigate even for the little ones. There are parental controls to control your little ones from using the app more than you’d like them to. They can even get safe access to videos about puppies! I like that the interface is easy to navigate and the parental control. I like that it lets the kiddos watch video without accidentally being exposed to adult stuff and that you can set a time limit for how much they can use it. I like that the interface is easy and uncomplicated to use. I like that it acts as a child friendly portal. I like that the interface is easy to navigate especially for kids. It’s perfect for movies on the go during long road trips (the ones coming ahead for the holidays) I’m usually worry about my daughter having access to the unlimited internet world so this will give me peace of mind about controlling the way she uses the device. I like that parents can control what the kids are watching. I Like That Parents Can Create Custom Profiles To Monitor What The Kids Are Watching! I like that parents can set up a time limit. I like how it is easy for parents to navigate too because that is my main issue with apps. And yes my 5 year old gets them better then me! I like not having to worry about monthly fees. I like that it has parental controls and that they’re easy to apply! I haven’t bothered with parental controls before because they seem so complicated! I like that parents can create custom profiles to control what kids are watching. This sounds like a great app! I love that kids can watch their favorite shows and the parents don’t need to worry about monthly fees! I like how easy the interface is to use. 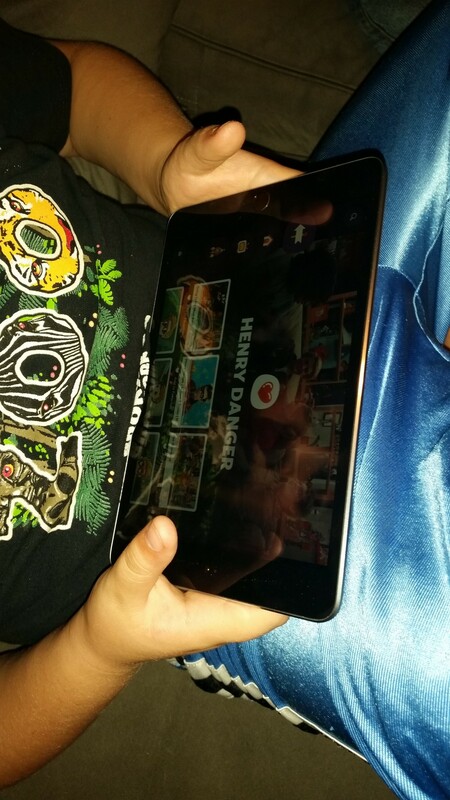 I learned that the app has very easy to use and operate parental controls. I like that there is a desktop available that you can customize with timers and parental controls . I found out that it’s for kids ages three to eight. I love your son’s curly hair. It’s adorable. Thank you! I like that they can access videos and games in one area, parental controls and the timer. I learned It makes video watching a breeze and lets your kids enjoy the appropriate entertainment. 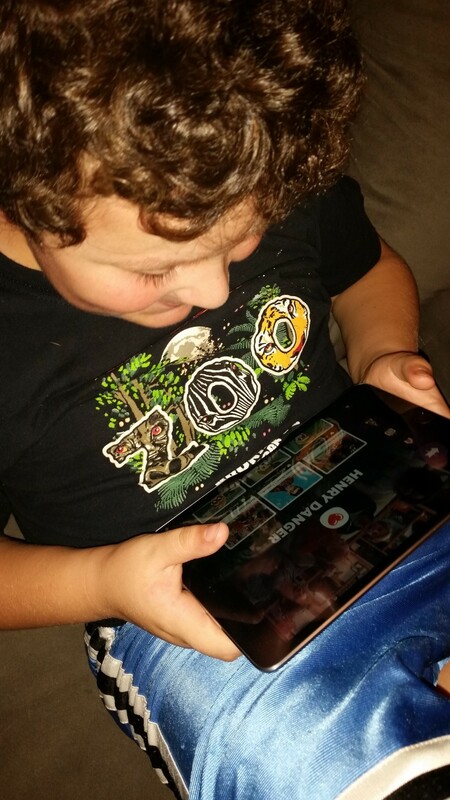 I like that each has lots of videos – good to keep a kid’s attention. I like that their are kid friendly shows! I like that there are no monthly fees. The Flare Kids app has robust parental controls and time limit settings. I like that it has parental controls and a timer. I really like that the app has timer and parental controls to help me with what my son is watching!! There is a timer and parental controls. I like that parents can create custom profiles to control what kids are watching as well as set in app time limits. I learned the app has parental controls. I like that there is a timer! I think it is too easy to let the kids get too much screen time. It’s easy for kids to navigate and has great parental controls! I like that it lets kids see lots of educational stuff, but protects them from seeing things harmful. Looks like he liked Henry Danger. The interface is easy for kids to navigate. It’s nice tha it has tparental controls which are easy to apply. I love that with this app, parents can create custom profiles as to what kids can watch and also set an app time limit! I love that there are no monthly fees and kid-friendly shows. I like that it has tons of videos especially for the little ones. I like the Flare Kids app offers appropriate popular programming for kids ages 3-8. I like that it is tough enough for kids! I like that it has easy to use parental controls. Most take a rocket scientist to figure out. This sounds like a really wonderful and very useful app. I like that it keeps kids safe and away from sites that I wouldn’t want them to use.